Velocity Pencil features a sliding sleeve over the tip to prevent lead from breaking, a top advance lead mechanism, and a sleek barrel. Smooth opaque rubber grip provides comfort and control while writing. 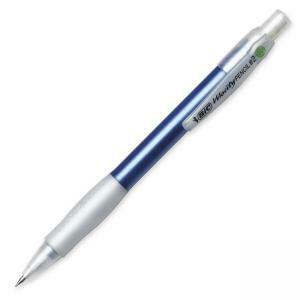 Mechanical pencil has a high quality eraser, conical retractable lead and three tough leads. Eraser end with a cap keeps eraser clean.